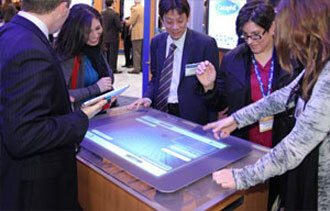 DisplayCraft offers the next generation of face-to-face, experiential marketing. We transform traditional business encounters into multisensory 3D marketing experiences focused exclusively on your brand and audience demographics. We’ll ask the important questions. We’ll educate ourselves on your company, clientele and marketing objectives. And we’ll provide solutions incorporating bold ideas that appeal to the senses. We will engage and immerse your audience in your brand, reinforce your most critical marketing messages and maximize recall. Most importantly, we’ll accelerate the sales cycle.